Instead, some 50 years later, we find ourselves facing exactly the opposite problems. Global cooling has long ceased to be a serious concern, but global warming and melting polar ice caps dominate the news. Instead of global hunger and mass starvation, we face an obesity epidemic, unprecedented in human history. There are many puzzling aspects to this obesity epidemic. First, what caused it? The fact that this epidemic is both global and relatively recent argues against an underlying genetic defect. Exercise as a leisure activity was largely unheard of in the 1970s. People just didn’t sweat with the oldies in that decade. The proliferation of gyms, running clubs, exercise studios and the like were a product of the 1980s. I would struggle with this question for many years. People ate white bread, ice cream and Oreo cookies in the 1970s. Whole wheat pasta and bread didn’t truly exist as foods real people ate. They were doing everything ‘wrong’ but yet there’s little obesity, as you can easily see if you were to look at old photographs from the 1970s. Second, why were we powerless to stop this epidemic? Nobody wanted to be fat. All the best scientists, doctors and dieticians of the era were giving dietary advice to stay lean. For more than thirty years, doctors have recommended a low-fat, calorie-reduced diet as the treatment of choice for obesity. Yet the obesity epidemic accelerated. From 1985 to 2011, the prevalence of obesity in Canada has tripled, from 6 percent to 18 percent. All the available evidence shows that people were trying to cut their calories, cut their fat and exercise more. But they weren’t losing weight. The only logical answer is that we didn’t understand the problem. Eating too much fat and too many calories wasn’t the problem, so cutting the fat and calories was not the solution. So, it all comes back to that first essential question. What causes weight gain? In the 1990s, I graduated from the University of Toronto and the University of California, Los Angeles as a physician and kidney specialist. And I must confess that I did not have the slightest interest in the treatment of obesity. Not during medical school, residency, specialty training or even during practice. But it wasn’t just me. This was true for just about every physician trained in North America. Medical school taught us virtually nothing about nutrition, and even less about the treatment of obesity. There were hours and hours of lectures dedicated to the proper medications and surgery to prescribe. I was proficient in the use of hundreds of medications. I was proficient in the use of dialysis. I knew all about surgical treatments and indications. But I knew nothing about nutrition and even less about how to lose weight. This is despite the fact that the obesity epidemic was well established, and the epidemic of type 2 diabetes was following just behind, with all its health implications. Doctors just didn’t care about diet. Weight loss was not a matter of looking good in a bikini for the summer swimming season. If only. The excess weight was largely responsible for development of type 2 diabetes and metabolic syndrome, dramatically increasing the risk of heart attacks, stroke, cancer, kidney disease, blindness, amputations, and nerve damage, among other problems. This was not some peripheral topic of medicine. Obesity was at the very heart of everything, and I knew just about nothing. I entered practice as a kidney specialist in early 2000s, and the most common cause of kidney failure, by far, was type 2 diabetes. I treated those patients exactly as I had been trained, the only way I knew how. With drugs like insulin and procedures like dialysis. From experience, I knew that insulin would cause weight gain. Actually, everybody knew insulin caused weight gain. Patients were rightly concerned. “Doctor,” they say, “you’ve always told me to lose weight. But the insulin you gave me makes me gain so much weight. How is this helpful?” For a long time, I didn’t have a good answer for them, because the truth was it wasn’t helpful. The problem was that my patients were just not getting healthier. I was simply holding their hand as they got worse and worse. I was doing everything I was taught, but it wasn’t doing any good. Gradually, it dawned on me what the problem was. The root cause of the entire problem was the weight. Obesity caused metabolic syndrome and type 2 diabetes, which caused all the other problems. Yet everything I was taught, almost the entire system of modern medicine, with its pharmacopeia, with its nanotechnology, with all the genetic wizardry was focused myopically on the problems at the end. Nobody was treating the root cause. If you treat the kidney disease, patients are still left with obesity, type 2 diabetes and every other complication. This was the way that I, and virtually every other doctor was trained to practice medicine. But it was not working. We needed to treat obesity.We were trying to treat the problems caused by obesity rather than obesity itself. When people lost weight their type 2 diabetes would also reverse course. Treating the root cause is the only logical solution. If your car is leaking oil, the solution is not to buy more oil and mops to clean the spills. The logical solution is to find the leak and fix it. As a medical profession, we were guilty of blithely ignoring the leak. If you could treat the obesity at the beginning, then type 2 diabetes and metabolic syndrome could not develop. You could NOT develop diabetic kidney disease if you didn’t have diabetes. You couldn’t develop diabetic nerve damage if you didn’t’ have diabetes. It seems obvious in retrospect. The problem was that I didn’t know how to treat the obesity. 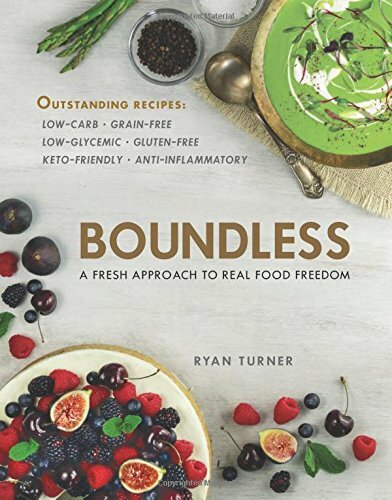 Despite having worked more than twenty years in medicine, I found that my own nutritional knowledge was rudimentary, at best. This sparked a decade long odyssey and eventually led me to establish the Intensive Dietary Management (IDM) program and the Toronto Metabolic Clinic. In thinking seriously about the treatment of obesity, there was one singularly important question to understand. What causes weight gain? What is the root cause? The reason we never think about this crucial question is that we already think we know the answer. We think that eating too many calories causes obesity. If this were true, then the solution to weight loss is simple. Eat fewer calories. But we’ve done that already. Ad nauseam. For the last 50 years, the only weight loss ever given out was to cut your calories and exercise more. This is the highly ineffective strategy called ‘Eat Less, Move More’. We’ve added calorie counts to food labels. We have calorie counting books. We have calorie counting apps. We have calorie counters on our exercise machines. We’ve done everything humanly possible to count calories so that we could cut them. Did it work? Did those pounds melt like a snowman in July? No. It sure sounds like it should work. But the empiric evidence, plain as a mole on the tip of your nose, is that it does notwork. From a human physiology standpoint, the entire calorie story collapses like a house of cards. The body does not measure calories because it has no calorie sensors. The body does not respond to ‘calories’. There are no calorie receptors on cell surfaces. It has no ability to know how many calories you are or are not eating. If your body doesn’t count calories, why should you? Calories is purely a unit of energy borrowed from physics. The field of obesity medicine, desperate for some simple measure of food energy, completely ignored human physiology and turned to physics instead. So, we got the saying ‘A calorie is a calorie’. But that’s not a question I can recall anybody ever asking. Instead, the question is ‘Are all calories of food energy equally fattening?’, to which the answer is an emphatic no. One hundred calories of kale salad is not as equally fattening as one hundred calories of candy. One hundred calories of beans is not equally as fattening as one hundred calories of white bread and jam. But for the last 50 years, we pretended they were equally fattening. And so I started from the beginning. 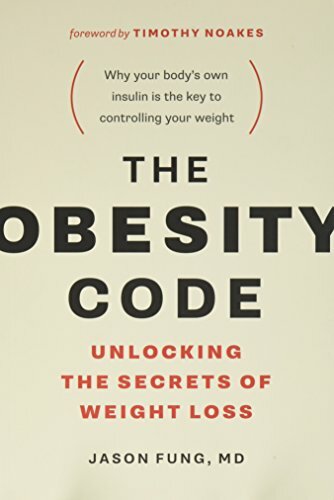 Unravelling the rotten tapestry of the Calories model to answer that all-important question of the underlying causes of weight gain was the reason I wrote The Obesity Code. Since then, in my Intensive Dietary Management program (www.IDMprogram.com) has treated thousands of patients over the last 5 years. 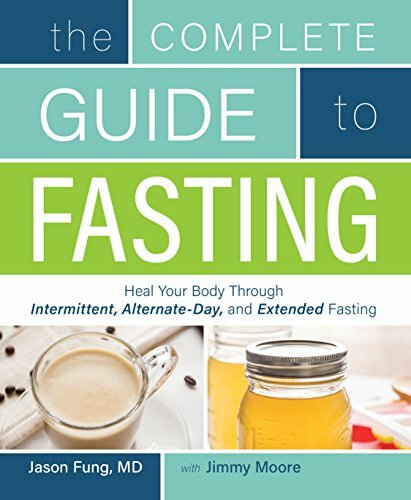 I’ve wondered sometimes about why such a simple concept about using free dietary measures like fasting to treat dietary diseases runs into such obstacles. Here is the traditional medical system. Here is how the modern medical system fares if people could use diet to control their own health and destiny. Reversing type 2 diabetes, as I explored in The Diabetes Code, is really very simple, and does not involve using expensive medicines or surgeries. Ah, now I see why dietary treatments fail to gain any traction.